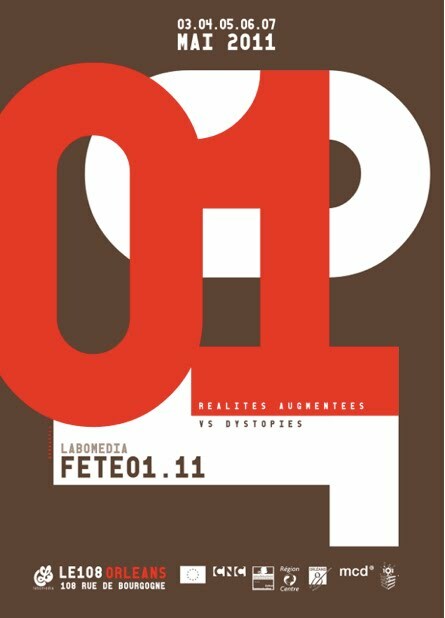 I am happy to announce that, on the 7th of May, I'll be deejaying at Fête 01.11 "Réalités Augmentées vs Dystopies" to celebrate the 10th anniversary of Labomedia in Orléans, France. 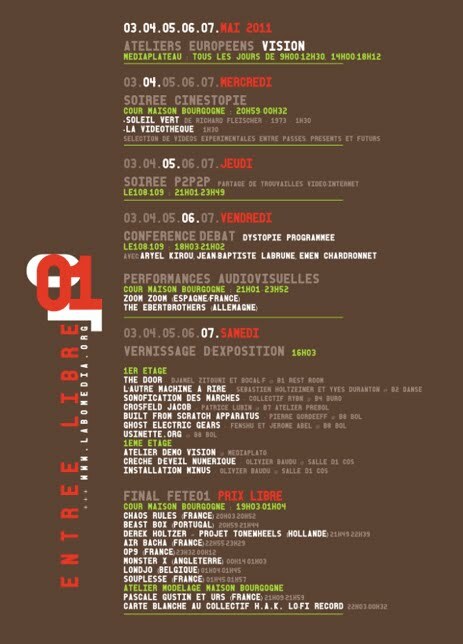 There's a lot going on at the festival.. make sure drop a visit at the fest-site, with the whole program and plenty of links..
Line-up Final Fête01: Chaos Rules (FR), Beast Box (PT), Derek Holzer - Project Tonewheels (USA/DE), Air Bacha (FR), OP9 (FR), Souplesse (FR), Monster X (UK) & yours truly.. 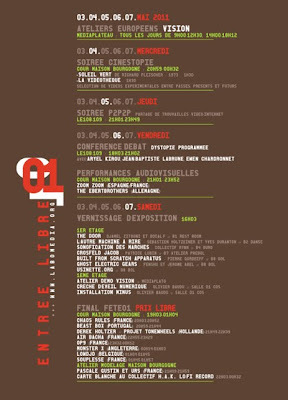 The day before I'll be dropping a visit @ Radio Campus Orléans to record a radio-show that will be aired later, more info about this, once it's streaming or downloadable..